If you’re short on things to do this weekend, look no further for a way to spend your time—there are plenty of races ahead. Included in the lineup of live racing are two of NASCAR’s top series, Monster Energy Supercross, the FIA World Rally Championship and the Pirelli World Challenge season opener. The NASCAR Camping World Truck Series is off until April, but both the Sprint Cup Series and Xfinity Series will be in Las Vegas this weekend. Jimmie Johnson took a historic 76th-career win at Atlanta Motor Speedway last Sunday, tying him with Dale Earnhardt Sr. for seventh on the most all-time wins list. The win also essentially guarantees Johnson a spot in the Chase for the Sprint Cup. The FIA World Rally Championship also returns this weekend, competing for the first time since its mess of a “snow” rally in Sweden. Not enough snow fell prior to the event, and drivers planned to boycott the first stage because of dangerous conditions. 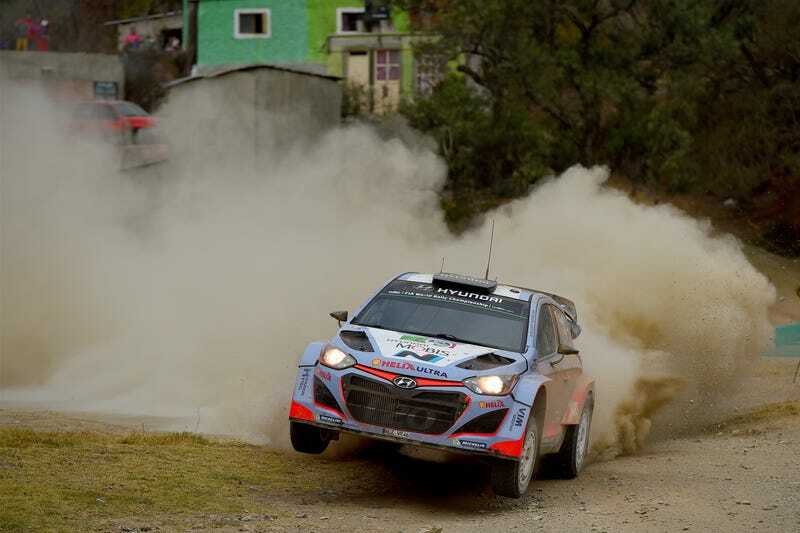 Everything finally did get underway after the organizers cut nearly half of the stages from the course, and Sébastien Ogier won the event. Again. Monster Energy Supercross will compete at Daytona International Speedway on Saturday after running in Georgia last weekend, where a few NASCAR drivers made an appearance. Four drivers competed in a holeshot race at the event, and Clint Bowyer wiped out immediately after winning. Good, quality entertainment. This weekend marks the start of a new Pirelli World Challenge season as well, and the series will run its first and second rounds of the year at Circuit of the Americas. Television coverage of the races will be on tape delay, but the series will host a live stream online for those interested in watching. Speaking of tape-delayed racing, there is plenty of that this weekend as well. Showings include the American Sprint Car Series, Lucas Oil Modified Series, Lucas Oil Late Model Dirt Series, FIM Motocross and the Lucas Oil Off-Road Racing Series. If you know of anything else going on this weekend or want to share a live stream, go ahead and jump into the comments below.